Nestled between the elegance of Mayfair and the creativity of Soho, the Oscar Wilde Lounge is the space where great minds came together to change the world. It is in this very room that Oscar Wilde fell in love with Lord Alfred Douglas, Aubrey Beardsley debated with Whistler, David Bowie retired Ziggy Stardust and Mick Jagger, the Beatles and Elizabeth Taylor danced the night away. Dating back to 1865 and formerly known as the Grill Room, the gilded room was renamed in honour of our most famous patron becoming the Oscar Wilde Lounge. 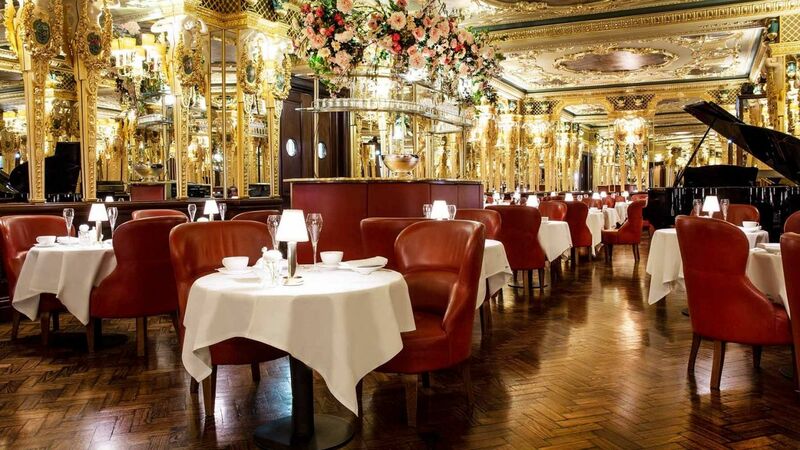 Today, this dramatic setting is home to Hotel Café Royal's award-winning afternoon tea service, presented masterfully by our dedicated restaurant team and creative chefs. We are proud to have been named the Best Traditional Afternoon Tea in the UK at the Afternoon Tea Awards 2017/18. Please note that on Saturday, 30 March and Sunday, 31 March, Afternoon Tea will be served in both the Domino Room & Oscar Wilde Lounge. Whilst tea has been around for thousands of years, it was the Victorian’s who conceived the concept of taking afternoon tea to bridge the gap between luncheon and dinner. 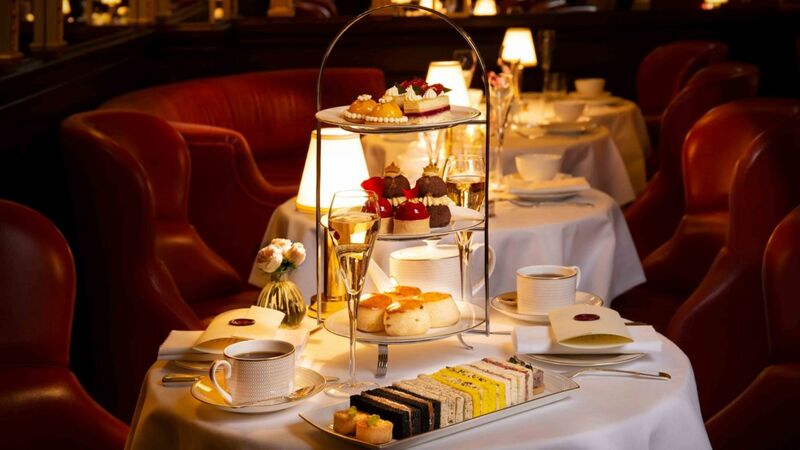 The high society would seek out the finest afternoon tea services in town to indulge in this new found meal, including Café Royal. In 2019, the year that marks the 200th anniversary of one of the most beloved British monarchs, Queen Victoria, we pay homage to this tradition and the Empress herself. 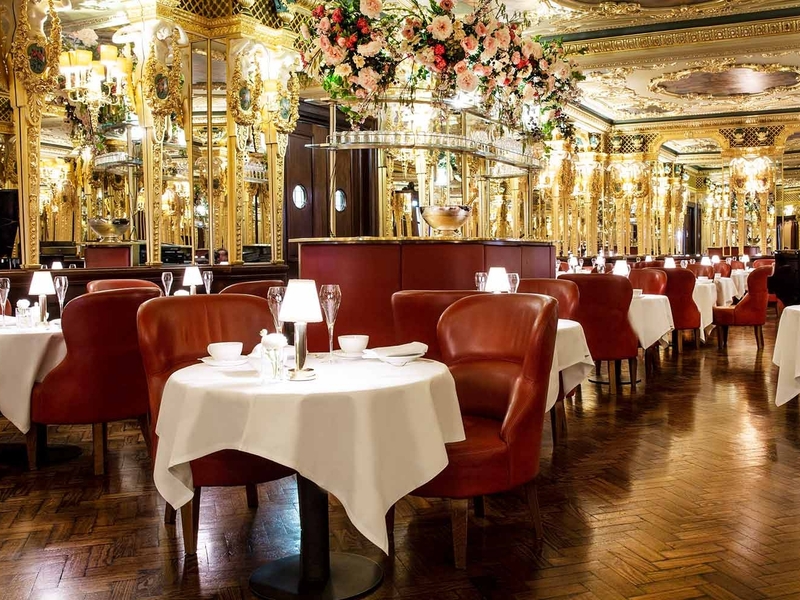 The menu features dishes, ingredients and production techniques that came into fashion during Queen Victoria’s reign and is inspired by her life, influence and personal favourites. Enjoy a traditionally British afternoon tea service accompanied by a hand-picked selection of over 25 exclusive tea blends and infusions, fine Champagnes and a live pianist. A celebration of the 200th anniversary of Queen Victoria and the tradition of taking tea. Book your afternoon tea experience on a weekday and enjoy a glass of Champagne Veuve Clicquot on us. £55 per person | Mondays to Fridays until 30 April 2019. As part of London Craft Week, we are partnering with Meissen, one of the oldest and most prestigious porcelain manufactories in Europe. Guests will enjoy our Queen Victoria inspired 'The Queen of Afternoon Teas' served on the iconic swan design porcelain, bringing together a truly British tradition with German craftsmanship, a union the Empress and Prince Albert themselves surely would have approved of. In tribute to Queen Victoria, the inspiration behind our 'The Queen of Afternoon Teas' service, exactly 200 years since her birth we are treating guests to a unique afternoon tea experience in partnership with luxury perfumer Clive Christian. Diners will be gifted with a 10ml bottle of the brands signature 1872 female or male scent, a homage to the perfumers history with Queen Victoria. Combining two award-winning indulgences under one roof, enjoy our afternoon tea with a glass of Champagne and a 90 minute aromatherapy facial or massage at Akasha Holistic Wellbeing. This package includes full access to the spa facilities. Whether you're celebrating a hen party, baby shower or birthday celebration, do so with a traditional afternoon tea at Hotel Café Royal. We can cater to groups of eight to 30 guests in the Grade II listed and ornately decorated Domino room. 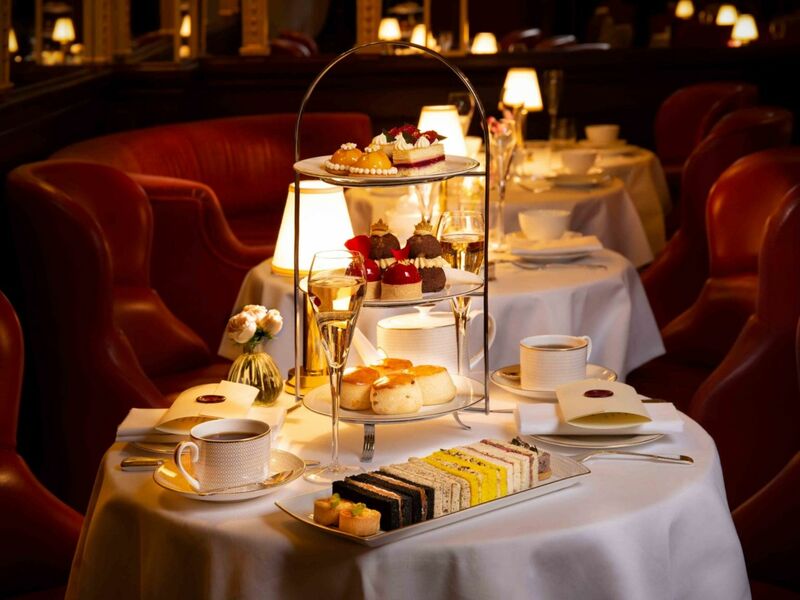 Afternoon tea service is accompanied by your choice of more than 20 teas and infusions and a live pianist. Give the gift of luxury and choose from our selection of gift vouchers including traditional afternoon tea and Champagne afternoon tea. Afternoon tea has been a part of British life since the early 19th century, filtering down from the aristocracy to be enjoyed by nearly everyone today. Find out how this tradition came into fashion on our blog. All menus provided are sample menus and pricing is subject to change seasonally. For specific enquiries kindly contact our restaurants team directly. In support of cultural events Regent Street is traffic-free on certain dates. Click here to view a full list of these dates.